It's that time of year when the light jacket is a must have. The wool has been put away but you still need something in the early mornings and early evenings. I really love the cargo jacket this season because it's got an effortless feel that even the jean jacket can't match. 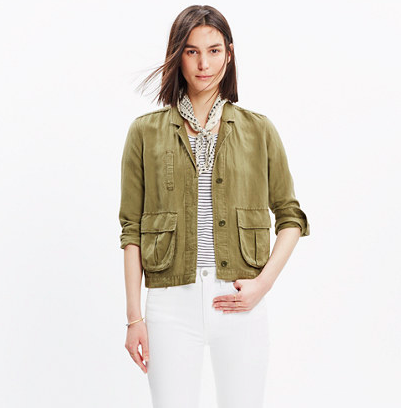 A feminine military jacket that looks great with a silk scarf. 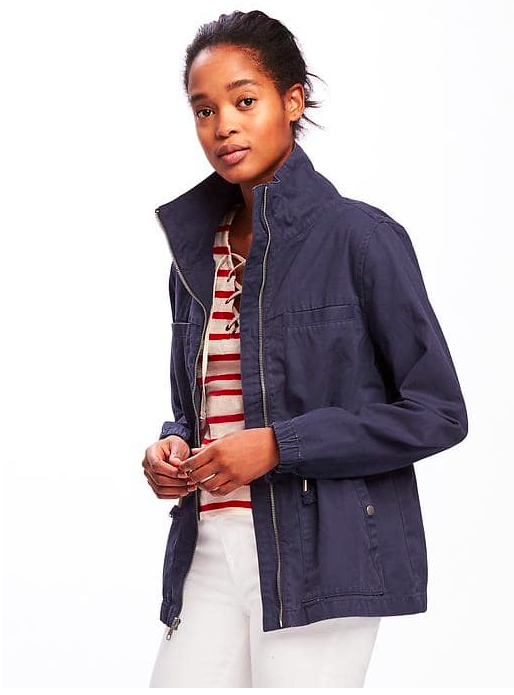 A lightweight coat with a zipper and button detail. I love this jacket. 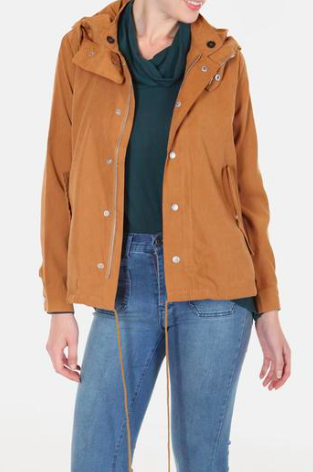 The stand up collar, the scrunched sleeve hem, simple. 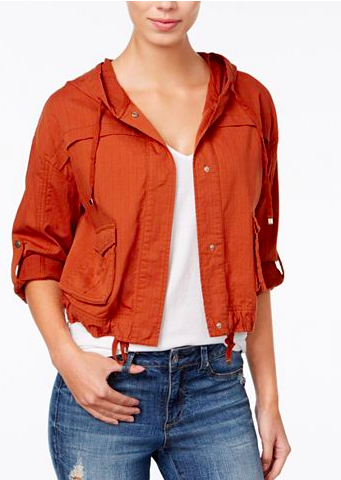 Button back sleeves, a punchy spice color, what more do you need? A lightweight jacket for spring comes in so many shapes and styles. I like the cargo jacket for it's simplicity and comfort.